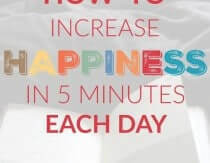 Heather Dessinger 148 Comments This post contains affiliate links. Sometimes real food gets a bum wrap. But it doesn’t have to! What do you get when your favorite cling wrap manufacturer replaces hormone disrupting PVC and DEPA chemicals in their formula? Most likely, just a new formula with different hormone disruptors. Unfortunately we’ll have to guess what those chemicals might be, because although many companies have recently reformulated, they’re not required to tell us what’s in their products. You guys, Bees Wrap is the BEES KNEES. It’s reusable, and it hugs bowls with just the right amount of cling thanks to a mix of organic cotton muslin, beeswax, jojoba oil and tree resin. It’s perfect for wrapping snacks, fruit, veggies, cheese, bread and even bowls, and the beeswax + sandwich wrap can be sealed by winding a string around an embossed wooden button. Oh, and have I mentioned how easy they are to care for? 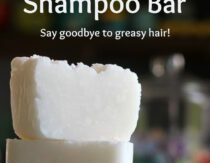 Just wash in cool water with mild dish soap and allow to air dry. 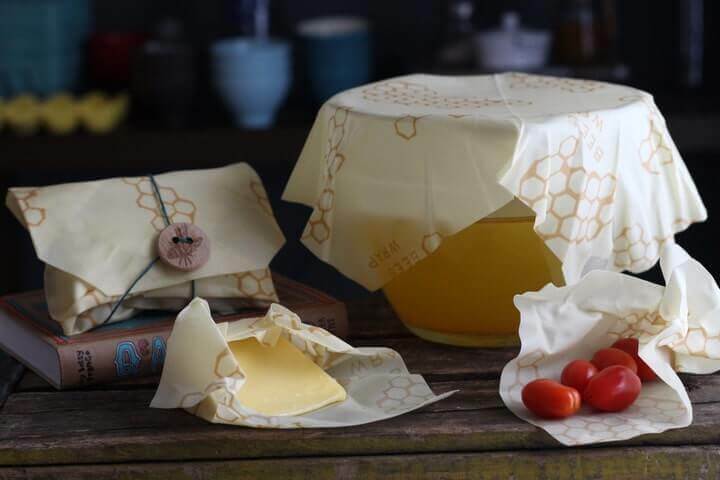 Bees Wrap comes in sets of small, medium and large sheets. There is also a pre-made snack bag /sandwich wrap option. Never heard of Lékué lids? Here’s what you need to know – they save you time washing dishes. Made from food grade silicone, they can be used as a cover on pots to help retain heat after cooking, for leftovers, and for outdoor use to keep bugs away from food. And while that’s great, lets get back to the “saving time washing dishes” part. 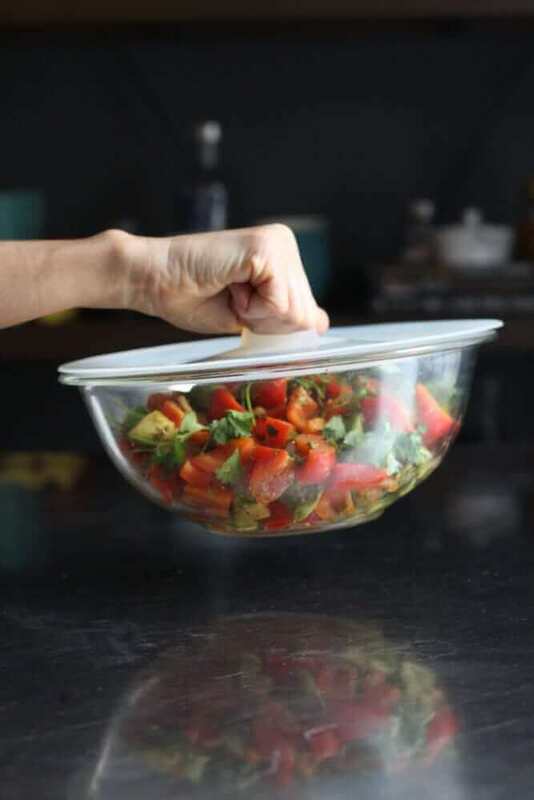 Lékué lids form a vacuum seal that keeps food fresh, so you can make a pot of soup and pop it directly into the fridge instead of shlepping it into mason jars. Not only will you not have to dirty extra dishes, it makes reheating easier. Plus, they’re great for keeping salads and prepped veggies fresh. When you’re done with a lid, just run it through the dishwasher. Easy peasy. Now, have you ever found yourself digging through a pile of jar lids because you can’t find the right size? Then you totally get the genius of Lékués’ other sanity saver – stretchy lids. They fit a variety of sizes, including standard mason jars and that one wonky jar you can never find the lid for. They can even be wrapped over fruit and vegetable halves and some bowls, depending on which size you have. Oh, and they have the same vacuum seal suction effect that helps keep your food super fresh. Pretty neat, huh? I hope you find these recommendations helpful! 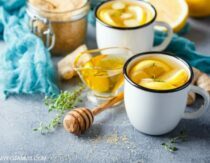 Want non-toxic cleaning recipes that WORK? I’ve created a free ebook for you – 7 Non-Toxic Cleaning Recipes That Really Work – as a gift for signing up for my newsletter. We cover seven recipes that you can make in just a few minutes each for squeaky clean windows, sparkling dinnerware, lemon fresh countertops, and more. Drugstore Alternatives When Your Kids Have "The Ick"
Does Bubbies Pasteurize Their Products? Say It Ain't So! My biggest obstacle to ditching plastic is having enough containers with lids. Too many odd sized bowls that don’t have lids, so plastic wrap is the most convenient and cost effective way to store leftovers. Convenience – it’s easier to have one roll of plastic wrap than multiple containers… Plus for freezing meat, I always wrap it up first! Not sure how I would replace that. I use wax covered paper for freezing meat and tape the seams. Freezer meals is more difficult without plastic wrap. I would love to win these. I pack lunch every single day for my fiance and myself. We both are into health and fitness. Every sunday we cook enough meals to last us throught the week for the most part and we go through plastic wrap big time when we place the meals in the fridges or take them with us to work. Something like this I would absolutley love to try!!!!!!! I dislike using plastic wrap because of the chemicals and because it can’t be recycled. I try to limit my usage, but haven’t found a good, all purpose alternative. I like to buy the non PVC zip bags when I can, but I am in a rural area, so I have to make an hour drive to buy them, and, they are expensive with not many in a box! These wraps and lids look great. I am anxious to try them! I also use plastic freezer bags to freeze food. I haven’t found a good replacement for that yet. The above mentioned products sound great! I hope I win to give them a try. They might actually get me off of plastic wrap. Cost. It’s expensive and increases need for kitchen storage. As I slowly (but surely) try to live a healthier/greener lifestyle, plastic bags are still something I struggle to say buh-bye too. These would make it sooo much easier to ditch the baggies!!!!! I agree with KIM! Too much stuff in the kitchen and plastic bags are so usable and re-usable. But if I could give up plastic wrap (that sticks to itself when I try to use it, (argggg). It would ma very happy! Thanks for finding all these great products. Yep! Definitely convenience! So easy to use then toss. No clean up. No storage problems. But I never thought about all the yuckies in the plastic. Don’t know why. I think about those yuckies in everything else! Would love to have these to be able to stop using so much plastic! I am a new mom and I want to give her the best/healthiest life possible and these would be a HUGE addition to this new start for momma and baby! My biggest obstacle was not having something to replace plastic wrap! I have been wanting to order this stuff from mighty nest for a long time now. SO Excited about this giveaway! My biggest obstacle is not having a replacement for plastic wrap. These products look for interesting! Am trying to be more earth friendly and these would help. The biggest obstacle is finding other alternatives. Biggest obstacle? Cost… I would love to win! Trying to get rid of plastics and finding good alternatives that work! These look great! We Would love to get rid of the plastic wrap. We are trying to slowly change over to natural products and this would go towards helping us achieve this goal to a healthier family. Not having enough containers or places to store them. I’m entering the give away because I love the bee wraps! I don’t use Plastic wrap but go through way too many zip lock bags! My biggest obstacle is expense. Our budget is extremely tight and it often take a precendence over smaller items like food storage. Having versatile alternatives. These look great! The expense is definitely our biggest obstacle. Even after employing many money-saving strategies, eating all organic, starting a small homestead and trying to make responsible sustainable choices is still really expensive. (Still having school loans and a mortgage doesn’t help). my plastic wrap lats me for years!!! use it seldom – but once in a while i need some; the replacements here look cool!!!! I already have 2 small silicone suction lids and love them! These products look intriguing! Thank you for all you do and share with all of us! Honestly, my biggest obstacle to ditching plastic wrap has not being able to find a good alternative. Looks like I found it! Thanks a million! My biggest obstacle is large dishes and baking dishes. I have several pyrex containers with reusable plastic covers for leftovers but that doesn’t help when I prepare a meal in a baking dish and need to refrigerate it in that dish. My biggest challenge in ditching plastic wrap is not having any decent alternatives on-hand. I am so excited to know about these! I love that they are easy to care for, reusable, make reheating a breeze, will keep my food fresh and save me time washing dishes. Wow! YAY!!! Plus, everything about plastic wrap is a challenge for me. It always seems to crumble up on me, and I’ve hurt myself multiple times tearing off a piece. I would love to win this, and I am glad to know about your site!!! Never the right lid for the container I’m using! These look AH-MAZING!!! Thanks for the opportunity! My biggest challenge is wrapping bits of veggies or cheese. If not for those, I’d never buy plastic wrap. probably for when I’m transporting food to a party. I always use plastic wrap unless I have a container with a nice fitting lid. I also use it for freezing meat. I saw that lecue has a silicone freezer bag, so I’m hoping to try that. Me!Some old habits are just hard to break but these look like awesome alternatives,and I’d love to try! My biggest obstacle is just being so used to using plastic wrap — it’s hard to teach an old dog new tricks — LOL. Actually, though, my Mom has an item similar to this and it is SOOOOO cool! I’d love to win these! Convenience. Those plastic baggies sure are easy to grab and use quickly! I hope I could retrain my brain with the use of these products! I had 4 entries then commented and now I only have 1 entry. What is going on? Hi Deborah! If you entered and then came back to check on the entries or reloaded your page, you won’t see the entries. The widget doesn’t “reload” the entry count when you go through it again, but they are all recorded. Hope that helps. Cost is definitely a limitation for me. And until today I didn’t know these products existed. Thanks! Keeping kids/containers together and what to use for freezing are my challenges!!!! Love the idea of these lids. Nice not to have to have a special container as well. I still use plastic wrap because it is cheap and I don’t know of many other alternatives. I like that it seals better than foil. Would love some of these lids! These are great alternatives! I probably use plastic wrap once or twice a year when I go to potlucks. People want to see that food is well-covered, and I just don’t have lids for some of my serving dishes. These products look great! Cost is what has kept me from being able to make these changes! Thanks for the chance to win! I hate washing up wrap replacements when they are floppy. Plus I feel like I’d need so many I might go broke in the process. Every half pear, lemon, Apple & avocado need a wrap! Not to mention lunches, cheese, and leftovers. Finding suitable alternatives and sometimes I reach for plastic out of pure convenience! Having the right size covering for the right container has been the biggest obstacle. I was not aware of so many options but convenience and cost kept me back. I want to choose better options for my family. My biggest challenge is finding a suitable replacement (I like these options). I’d love to try them! I like that all 3 fit on multiple sized items/containers. What I need to cover: Homemade tuna macaroni salad, cake with smeary frosting, whipped cream, leftover meat and vegetables, and the rest of a can of cat food. i would love to be able to wrap leftover fruit and veggies with a tight seal like I get with plastic wrap to slow down the browning! 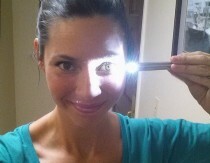 My biggest obstacle is… I didn’t even know there’s great alternatives like these! It’ll be great to have these wraps + lids. Cost and convenience! Plastic wrap is a convenient habit I’d like to ditch! I really like the idea of the lids that you can throw in the dishwasher. I have the stretchy silicone lids, but I have two things that hold be back from using them… you can’t just throw them in the dishwasher because they are so floppy they won’t get clean, and we have square plates so they don’t fit our plates very well. So I’m not sure if the lids would help much either since they are round. I would be super excited if they could make square-shaped silicone lids. 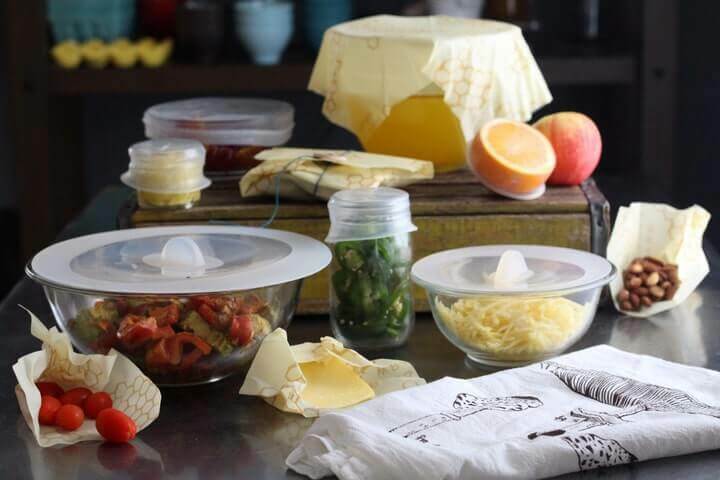 Haven’t ever used plastic wrap, but these lids and wraps sound so convenient, maybe we can finally, completely ditch the reused bags, too! I think my biggest obstacle is HABIT. Plastic wrap is like sugar…if I don’t have it in the house I won’t be tempted! It’s all been said by others already but plastic has become convenient to use and doesn’t have an equivalent right now. When I say that I am including plastic containers, plastic wrap and Ziploc storage and freezer bags. I am dependent on Ziploc for all kinds of things. Recently I learned about freezing liquids in Ziploc bags (flat) to reduce space in the freezer…How do you replace that? Seriously, I would love to know! I do think that these products (in the giveaway) are a good start and I would love to try them out as I have been slowly weaning myself away from plastic containers, but wrap and lids are still a problem (not to mention sandwich bags!). The convenience! I’ve given up sandwich bags for alternative options but plastic wrap has been tough to give up! I didn’t know these lids existed! They look amazing! I love the idea of the beeswax covers and lids that stretch ! My biggest obstacle is that I do a lot if freezer cooking where I make a big batch of meals at once and freeze all the leftovers. I need airtight containers or wrap to keep my precious meals from getting freezer burn. The biggest obstacle of ditching plastic wrap for me would be keeping my toddlers left overs fresh enough so she can eat them later. my biggest problem is finding a proper replacement to cover the bowls and containers. Storage space and portability for lunches and taking food on the go! I think that this is a healthier idea for those that have trouble with corn and corn products. The coatings on the film can make someone with a chemical allergies very ill. Cost is the biggest obstacle. 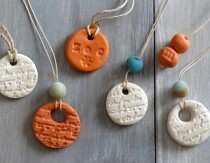 These look amazing….I would love to have a set! Would love to use them for lunches. Still using plastic for convenience. Getting rid of plastic in the kitchen is hard! This is a great way to start! Definitely cost!! Would love to win.Is this competition open to people out of America? Simply the time to make the alternatives!! I feel over the top right now with preparing to begin GAPS, farm chores, 3 children….need I say more?! Love the opportunity to enter the draw, thank you!! 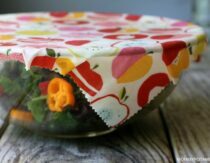 I’m looking for an alternative to plastic stretchy lids right now; how perfect is this. My biggest obstacle to ditching plastic wrap is finding an alternative that actually stays put and that doesn’t break the bank. Love the idea of no plastic wrap! My biggest reason for wanting to ditch the plastic wrap is for the health of my family and myself. I have Hashimotos Thyroid Disease and hormones play a HUGE roll in my autoimmune flare-ups. My children are predisposed to these autoimmune diseases as well and I’d like to do everything possible to help keep them healthy! My husband also has an autoimmune disorder so it will help him as well. Every little step towards a healthy chemical free life is a good one! The hardest thing is keeping lids that match the containers. My biggest obstacle to ditching plastic wrap has been finding an alternative. This looks like a perfect alternative!! My biggest problem is not having the right sized covers. Water is expensive in CA, the drought years have forced me to rethink my priorities on where to conserve. My focus used to be limiting how much trash I added to the landfill but now that water has taken over in importance I have begun to change how I do things. Our monthly rate for trash pickup is constant but our water bill fluctuates with usage. Rather than run the water until a greasy pot or bowl is clean I wipe as much out first with a paper towel and throw that away. Then I add soap and wash quickly. You throw away plastic wrap but you must wash silicone covers. One takes water the other goes in the landfill. That’s a tough call to make…which is the lesser of two evils? When I learned about the health hazards of BPA in plastic I stopped putting plastic wrap in the microwave and bought some silicone covers. They have worked great, no more wrestling with the plastic wrap box, pulling out the plastic without it getting stuck onto itself. Much easier to grab a silicone lid and plop it on the bowl. But it still requires washing. The nature of the material does make it easy to rinse them for reuse so I think they are definitely worth it. I have not heard of Bees Wraps…that intrigues me. If it doesn’t emit BPS or BPA toxins they sound like a good alternative to plastic wrap. I am still using plastic freezer bags which bothers me a lot so a substitute for those would be awesome. I already don’t use plastic wrap- never really have though. It’s a pain for me with my shaking hands, it sticks to itself. Tin foil is my weakness though. Line pans with it, wrap stuff for the fridge/freezer, cover things. I live with five other people, not all of whom respect my containers. I have far more jar than lids, and far more empty containers than tops for them. They get broken in the drying rack (that never getsr emptied), thrown away, crushed under pots in the sink (if i leave them to soak), all sorts of stuff. And one room mate that flat out steals them. So, I guess disrespectful room mates is my biggest obstacle. My biggest obstacle is wrapping large blocks of cheese. Then I usually slice them into chunks for snack size bites along with apple slices or carrot sticks and the plastic wrap comes in handy to keep them wrapped and separate and crisp. I love these, with the little kids it seems we have sooo many little dishes to cover! It’s hard to find an alternative for covering bread pans for rising bread. Right now I only use plastic wrap for making bread. Leaving it on the counter overnight covered in plastic works perfectly and I’ve yet to figure out an alternative. My biggest obstacle is a tight budget. An alternative for wrapping meat and for replacing Ziplock bags would be very welcome! Financial constraints predominantly. Would love to use green/eco friendly options else,….ONLY! The biggest problem I have with ditching plastic wrap is those times when I can’t find a lid! This is an amazing giveaway! LOVE!!! I am cooking for just 2 people, so when I bake, I like to wrap individual cupcakes and muffins so I am able to take out 1 or 2 at a time. Plastic wraps work really well for doing this, not sure there are any really good alternatives. I usually try to use another dish to cover what I need covered. In the back of my mind I hear reduce, reuse recycle. I’ve resorted to covering my bowls with plates to replace plastic wrap. I would love a better option for my family! I had never heard of these items before today and I would love to give them a try! I am overwhelmed with my plastic containers & storing them. I am looking for something reusable, as I don’t like to just use the plastic wrap just to use it once & throw it away etc. Thanks for the chance! Wrapping up partially used things, like cucumbers, onions, cheese, etc. Biggest obstacle is lack of a good alternative. My biggest obstacle has been not knowing there were any other alternatives. We are in the middle of new school and so I don’t have a school to put down to enter my givewaway. Is this the only way to Enter? As a mother to two young children who have Autism, I’m changing a lot in our home, it’s become a priority to find non-toxic alternatives to everything from cleaning products, to personal items, to the way we eat. But how we store our food was something I had not addressed yet. Plastic wrap is super easy but with this alternative this is just as convenient…I love this idea. Tough habit/routine to break and convenience. Making baby steps in many areas to improve these things! My biggest obstical is my handicap keeps me from buying these products in nearby town. Our local town just doesn’t carry these items and I can no longer drive myself. While I would love to shop big stores with many options. I can’t walk thru them, I make a list for my husband and he buys what is in the store. I want a greener healthier life for everyone but it’s not always feasible. My biggest obstacle to getting rid of plastic wrap is that I haven’t found an affordable alternative. I’ve gotten rid of most of the plastic in my kitchen, but plastic wrap seems to be difficult to replace. Biggest hurdle is probably just overcoming habits, and the 2nd is spending the money to replace it. 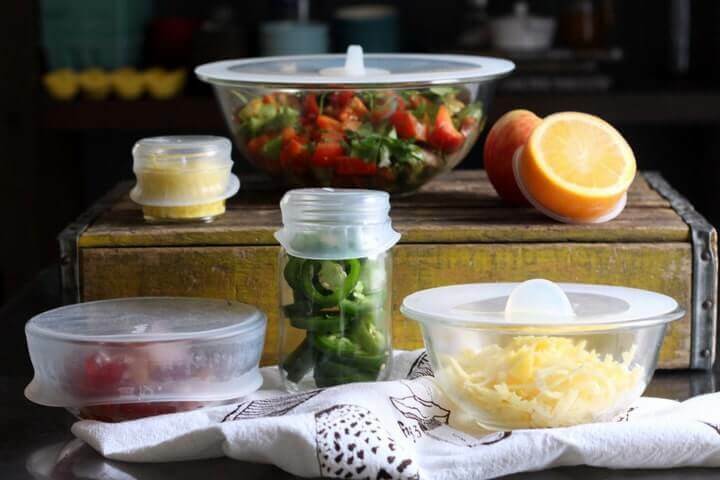 Never can find the right lid is frustrating and healthy alternatives to plastic can be costly. I have so many things I need good coverage for. I have a special needs cat, & am cooking & storing many foods also. I ama mommy of five. and my kitty… lids are expensive & easily ruined, not to mention lost, & inconvenient. I am so exited to learn of these non-toxic washably friendly user cloths. thank you for your sposorhood and great news of these cloths! foods remaining fresh & digestable is optimal in my every day consumption. ty. again. Plastic wrap is a waste. Would like to use something that is safe and reuseable. My biggest reason is the convenience and the shortage of space to spare bowls with lids and then ensuring the lids stay with the bowls and not get lost. Have to be more organised and more room. my biggest obstacle is plastic wrap really doesn’t stick to the containers but I don’t want to make the effort to find plastic containers that have lids to them and then if it is a dish with any kind of tomatoes or dark colored foods it stains the containers! I think if I had some of these products is be happy to get rid of my remaining plastic. Those lids are great. Cost! We are a family of 11 so buying enough reusable cost more up front so it’s easy to just buy plastic wrap. The cost of becoming healthier is crazy expensive. Biggest obstacle for me… I’m living with my elderly parents, cooking and housekeeping for them. And my dad is completely against organic foods or anything that sounds alternative to him. So he would definitely not shell out for these, and I don’t make enough money to buy everything, so, all I can do at the moment is hope to win the giveaway! These look brilliant. I’m working hard to get rid of all the toxic things in my home for my four beautiful children. Can’t believe how many things are not good for us…. My biggest thing is getting rid of toxins and getting away from plastic… but I love the convince of an easy wrap or bag. I never win anything so I just never give up. Hoping I get to try all those goodies! Good luck to all!!! Wrapping oddly shaped objects is the biggest impediment to abandoning cling wrap altogether. Usually I can’t find a replacement lid for my storage containers. Gah! Just having the right products to use instead. These look like great alternatives! Habit is my biggest challenge. I stick to habits but am getting better at change, especially for my family’s health. The convenience of being able to take snacks along in a plastic bag and just throwing away instead of having to take them back home and wash them out! I put a lot of leftovers on plates and plastic wrap is easy to use on that, but I really didn’t know how bad it was for you so I will be rethinking the whole plastic wrap idea! I just need alternative things to get plastic out if my life. Love these new products. would love to get rid of plastic and the toxic residue it leaves behind. Want some of these! I have been struggling with half used fruit or veg, like having a half used avocado/tomato/onion/apple/banana etc. How do I store them in the fridge without using plastic wrap? I try to avoid plastic wrap but plastic baggies are one thing I cannot find an alternative to. We make our bread and it seems that I always store it in large plastic baggies. I think the biggest obstacle for me ditching plastic wrap is two-fold: college budget and bread. You can’t make bread without plastic wrap (or some alternative) and I haven’t found the money on a college student budget to buy the alternatives.